Many of us grew up absorbing the Code of the West from our matinee cowboys, such as Gene Autry, Hopalong Cassidy, Wild Bill Hickok, The Lone Ranger, Roy Rogers, and The Texas Rangers. Sometimes, they even spelled it out for us, so return with us now to those days of yesteryear and listen to our cowboy heroes' codes, creeds, oaths, prayers, and rules. Gene Autry rode off into the sunset in his final Hollywood picture, Last of the Pony Ride (1953). During his entire film career, the cowboy star remained in first or second place at the box office until he retired from motion pictures in 1953. He had made nearly 100 movies, basically playing himself-an American cowboy hero, a tough gentleman who possessed tremendous common sense, kind to women and a good friend - which audiences loved. Gene Autry was the recipient of hundreds of honors and awards. Autry turned to the small screen and had his own television show, "The Gene Autry Show" (CBS, 1950-'56). With its emphasis on the work ethic and patriotism, the Cowboy Code adequately captures the seemingly-benign, though unapologetically sexist values animating the juvenile westerns of America's Cold-War culture. But "Thou Shall Not Kill" is noticeably missing from Autry's Ten Commandments - and this omission would later come to be the source of much public concern. 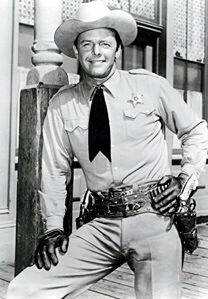 Based on his beliefs and personal integrity, he established the "Cowboy Code of Ethics" for viewers. 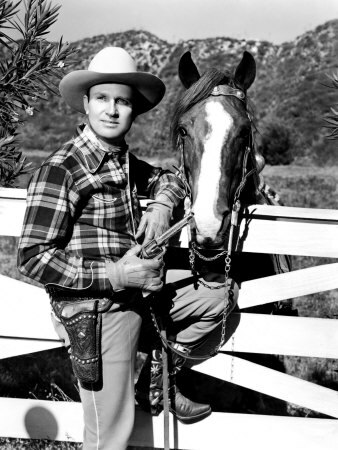 Gene Autry helped to establish the "Cowboy Code of Honor" that incorporated many noble behaviors. In 1952, Autry bought the old Monogram Ranch in Placerita Canyon (Newhall-Santa Clarita, California,) and renamed it Melody Ranch. Numerous "B" Westerns and TV shows were shot there during Autry's ownership, including the initial years of Gunsmoke with James Arness. The world mourned when the legendary cowboy passed away in 1998. 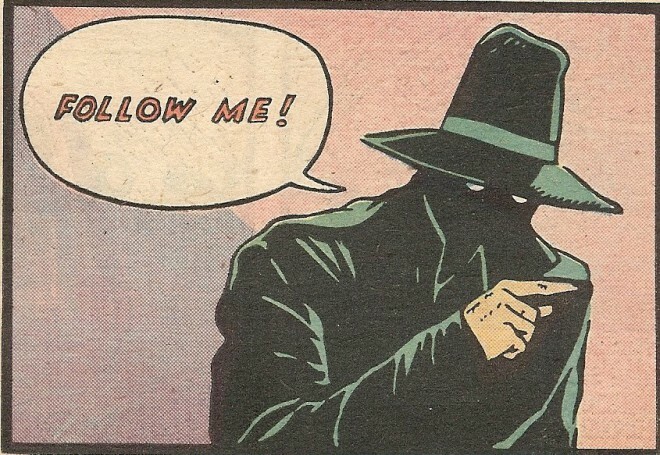 In every incarnation of the character to date, the Lone Ranger has conducted himself by a strict moral code. 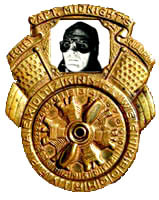 This code was written by the shows original writer Fran Striker at the inception of the character. He first appeared in 1933 in a radio show conceived either by WXYZ (Detroit) radio station owner George W. Trendle, or by Fran Striker. 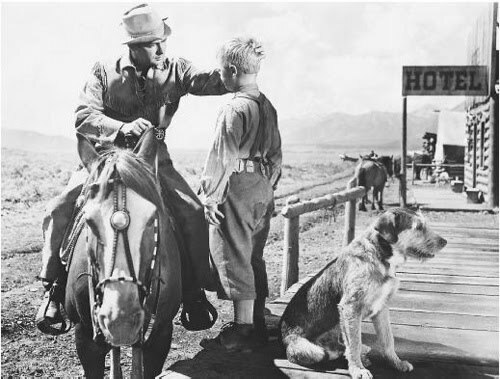 The character was originally believed to be inspired by Texas Ranger Captain John R. Hughes, to whom the book The Lone Star Ranger by Zane Grey was dedicated in 1915. 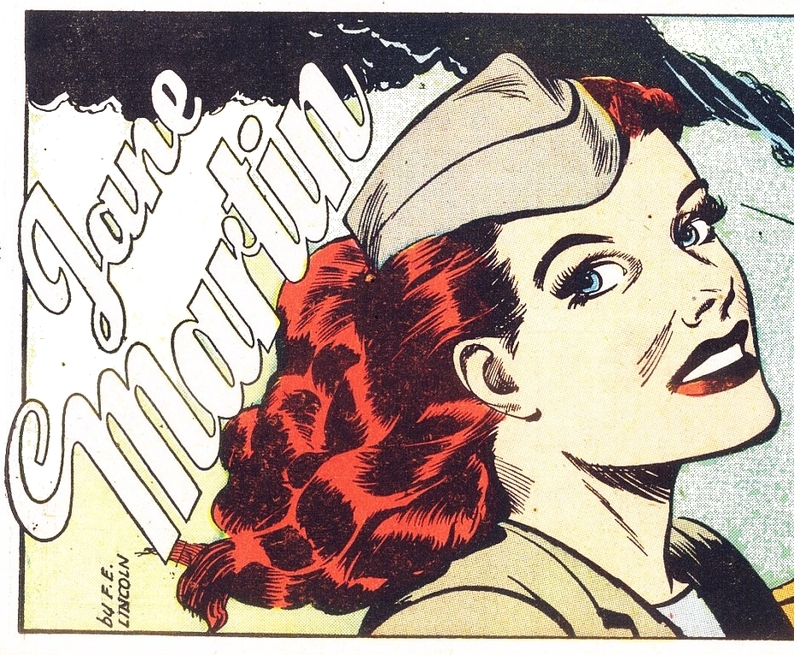 The radio series proved to be a hit and spawned a series of books (largely written by Striker), an equally popular television show that ran from 1949 to 1957, comic books, and several movies. 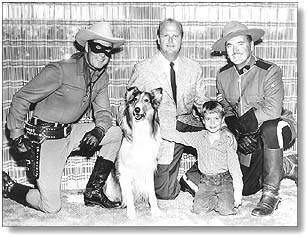 A much more well known and influential adaptation of the Lone Ranger was the (1949-1957) television series starring Clayton Moore (though with John Hart as the Lone Ranger from 1952-1954) and Jay Silverheels as Tonto. The live-action TV series initially featured Gerald Mohr as the episode narrator. He was also narrator for seven episodes of the radio series in 1949, 1950 and 1952. Fred Foy served as both narrator and announcer of the radio series from 1948 to its finish, and became announcer of the TV version when story narration was dropped there. Actors Clayton Moore and Jay Silverheels, taking their positions as role models to children very seriously, also tried their best to live by this creed. 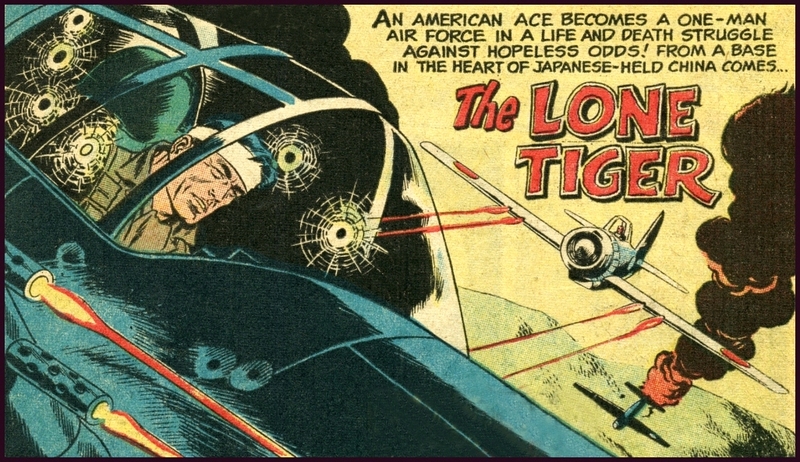 Moore often was quoted as saying he had "fallen in love with the Lone Ranger character" and strove in his personal life to take The Lone Ranger Creed to heart. This, coupled with his very public fight to retain the right to wear the mask, ultimately elevated him in the public's eyes to an American folk icon. In keeping with the nature of the Ranger character, Moore chose to always protect the Ranger's identity and therefore is probably the only actor, or one of very few to have achieved his level of fame, whose face is largely unknown to the public. His full face was never shown in the TV series, although occasionally he would don a disguise and affect an accent, revealing the upper half of his face in the process. However, there is no shortage of photos of Moore unmasked, including many in his autobiography. His many fans though could easily identify him by his instantly recognizable voice. The Lone Ranger was a TV show that aired for eight seasons, from 1949 to 1957, and starred Clayton Moore as the Lone Ranger and Jay Silverheels as Tonto. Only five of the eight seasons had new episodes. It was the ABC television network's first big hit of the early 1950s. Moore's tenure as the Ranger is probably the best-known treatment of the franchise. Moore was replaced in the third season by John Hart, but he returned for the final two seasons. The fifth and final season was the only one shot in color. A total of 221 episodes were made. On June 24, 1949, Hoppy became the first network Western television series, airing on NBC. At first NBC fashioned the shows out of the films after paying Boyd, who owned the TV rights to his films, a quarter-million dollars for them. The footage later shot for the TV series starred Boyd, with Edgar Buchanan as his sidekick "Red Connors" and numerous tie-ins. The theme music for the TV show was written by veteran songwriters Nacio Herb Brown (music) and L. Wolfe Gilbert (lyrics). The show ranked number 7 in the 1949 Nielsen ratings. William Boyd gave generously to children's charities and it wasn't unusual to see him, resplendent on his Hoppy regalia, unexpectedly appear in a children's hospital, making his way through the wards. 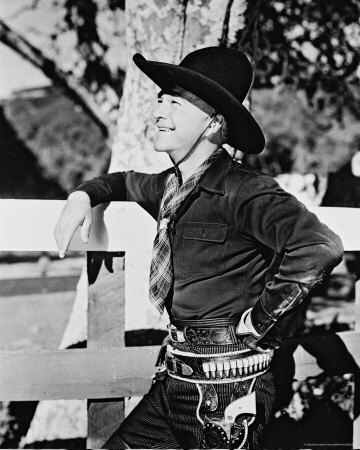 During personal appearances, he was Hopalong Cassidy in the flesh and not William Boyd in costume. The two had become so synonymous that when Boyd died in 1972, a number of obituaries actually identified the departed as Hopalong Cassidy. To the public, and to Boyd, the two men were one. Legend has it that William Boyd hated kids. Nothing could be further from the truth. His own son had died of pneumonia in the early 20s and he had mourned the boy for years. As Hoppy, Boyd dedicated his life to children, even writing "Hopalong Cassidy's Creed for American Boys and Girls". The Hopalong Cassidy films became a network broadcast over NBC, and early Sunday evenings became 'Hoppy night'. For the 1952-53 and 1953-54 seasons, there were 52 half-hour Hoppy adventures. A dozen were created (condensed) from the later United Artists films with Andy Clyde and Rand Brooks. And 40 brand new half hour shows were lensed and featured Edgar Buchanan as 'Red Connors'. The end result of all this air time was that Boyd and the Hoppy character were more popular than ever. In addition to TV, Boyd did circuses, rodeos, personal appearance tours, hospital visits, et al. He was on the covers of magazines such as Life, Look and TV Guide. As to William Boyd the man, he had gone through a personal transformation and re-awakening. A few years prior to his passing, Boyd had cancer surgery. On June 5, 1937, he and actress Grace Bradley tied the knot, and the result was a happy pairing that continued through Boyd's death in 1972 of heart problems and parkinson's disease. Over the years, William Lawrence Boyd --- and his version of the Hopalong Cassidy character --- blended together to became one and the same. The parents and kiddies of the time loved him. And through personal appearances and such, Boyd returned that love and adoration --- you could see it in his face and smile and hear it when he belted out one of his great laughs. Many kids who grew up in the late 1940s and early 1950s owe some of their personal values and beliefs to William Boyd. That's his greatest accomplishment. For YOU to say to me, "Let's ride, My Friend"
More and more the generation that personally remember Roy Rogers and Dale Evans, like Roy and Dale, are slipping by the wayside. Their famous theme song, which Dale wrote and they sang as a duet to sign off their television show, was Happy trails to you, Until we meet again... As a kid I was well exposed not only to their music and movies, but to their philosophy. Kids like me actually joined the Roy Rogers Riders Club and we lived by these rules. 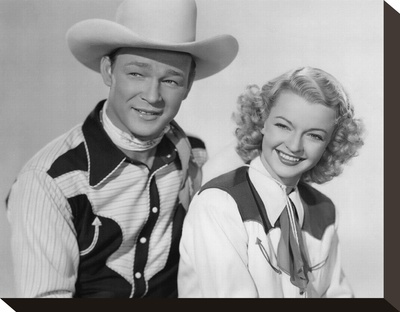 During the 1950s, there were no more beloved heroes than Roy Rogers and Dale Evans. They were role models for millions of children throughout the world. He stood for everything that was good. Rogers and Evans were also well known as advocates for adoption and as founders and operators of children's charities. They adopted several children. Both were outspoken Christians. In Apple Valley, California, where they made their home, numerous streets and highways as well as civic buildings have been named after them in recognition of their efforts on behalf of homeless and children. with disabilities. In June 1933 Roy met Grace Arline Wilkins at a Roswell, New Mexico radio station. They were married in Roswell, New Mexico on June 11, 1936 after having corresponded since their first meeting. In 1941, the couple adopted a girl, Cheryl Darlene. Two years later, Arline bore daughter Linda Lou. She bore Roy Jr. ("Dusty") in 1946, but died of complications from the birth a few days later, on November 3. When asked how many Texas Rangers should be sent to quell a problem the traditional rule and motto of the service was "One Riot, One Ranger." This was not done out of a sense of frugality, but rather the statement proclaimed that the Texas Ranger was so good and in control that it only took one duly authorized Ranger to get the job done. A number of TV programs featured Texas Ranger characters including Tales Of The Texas Ranger CBS-ABC 1955-59 starring Willard Parker and Harry Lauter; Texas John Slaughter ABC 1958-61 starring Tom Tyron; Trackdown CBS 1957-59 starring Robert Culp; Laredo NBC 1965-67 starring Neville Brand, Peter Brown, William Smith, and Philip Carey; and Walker, Texas Ranger CBS 1993-2001 starring Chuck Norris. Originally airing on NBC Radio from 1950 to 1952 and later on CBS Television from 1955 to 1958. The radio shows were reenactments of actual Texas Ranger cases. The television version was produced and also directed for several episodes by Stacy Keach, Sr. It was sponsored for part of its run by Wheaties cereal. Captain Manuel T. "Lone Wolf" Gonzaullas, who was said to have killed thirty-one men during his 30-year career as a Texas Ranger, was the consultant for the television series, as he had been for the earlier radio series. The television version was filmed by Screen Gems. In the television version, Willard Parker assumed the role of Jace Pearson and had a regular partner, Ranger Clay Morgan, who had been an occasional character on the radio show. Morgan was portrayed in the television version by Harry Lauter. During the opening and closing credits of the television series, the actors march toward the camera as an off-screen men's chorus sings the theme song, "These Are Tales of Texas Rangers", to the tune of "The Eyes of Texas Are Upon You" and "I've Been Working on the Railroad". Those of you who are familiar or may have come across some my other online works know that as a young boy I was big on box top and the like offers such as Ovaltine's Captain Midnight Radio Premiums, especially Captain Midnight's Code-O-Graphs, and more specifically so the 1942-1945 Photo-Matic version that figured so prominently during my childhood right on up into my adulthood and the military as found in Code Maker, Zen Maker --- all because of secret codes. However, there was another kind of code that played a huge role in my life as well, a code that had nothing to do with cryptography or securing communication covertly from others via secret means, but more with one's moral conduct and the ability to discriminate between right and wrong and acting appropriately thereof with the highest standards. 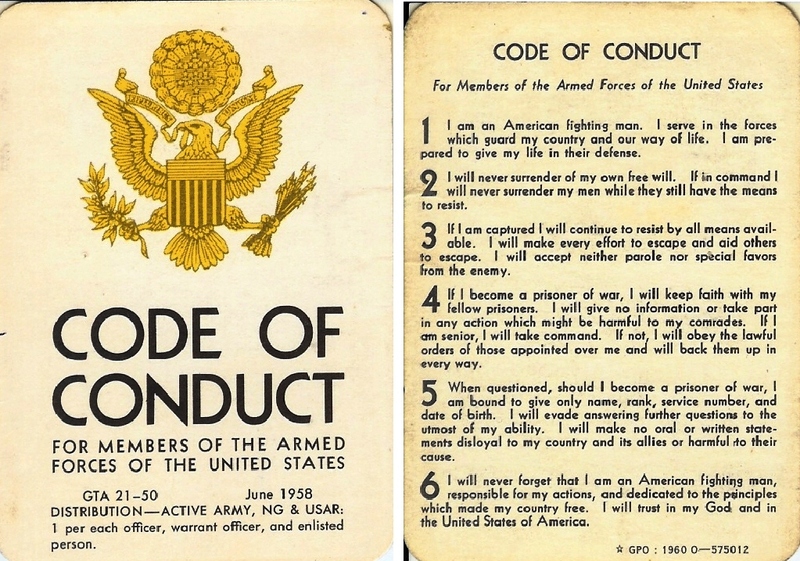 That other kind of code I speak of that was such an influence on my early childhood was a code of conduct and, as the title suggest, was none other than the Cowboy Code of the West. In line with the precepts as found in the Cowboy Code of the West, from a very young age I was both shown and taught by my father and uncle two very basic concepts: "When walking in the woods, never leave tracks," and "when you depart from a campground, always leave it better than you found it." Both concepts, although worded specifically in context, were meant to be expanded into the world and my everyday life as a whole. So said, even though I may not have had the individual specifics of the Cowboy Code of the West pounded into my head, the overall concepts ingrained in the Code, as the above about the woods and the campground clearly shows, especially so under the auspice of my Uncle, permeated my early childhood. Well before I even reached the age of entering kindergarten my mother's health began to deteriorate, eventually reaching a point that she was unable to care for herself let alone my two brothers and me. At the same time, my father began putting in more and more hours working in order to pay for mounting medical expenses. As my mother's condition continued to go downhill, almost under pure necessity, my father began placing my brothers and me more and more under the care of others. First as needed using day-by-day babysitters, then overnight with grandparents or neighbors, then for whole weekends. One day a childless husband and wife couple who were really good friends with the neighbors next door suggested to my father having one of us boys come live with them until things improved. After thinking it over my father agreed and for whatever reason the couple selected me. Me ending up living with the couple was the first in a series of me staying on-and-off with a whole string of foster couples and relatives up through high school, none of the stays lasting much over a year and some less than a few months. In the first case it was a half a year then I was dumped off unannounced by them at my grandmother's on my father's side. (see) I was there for only a short time, then sent to live with my grandmother on my mother's side. After that it was one miscued adventure after the other from me being found wandering in the desert after the suicide of an uncle to running away from home while living with foster couples. "In the meantime an old man driving a jeep on the way back to his home located far away somewhere out in the middle of desert found me walking all alone along some road. "The last time I ran away from the flower shop couple I ended up missing enough days of school that someone came to see why I was no longer attending. The couple told the school they had not seen me for several days and did not know where I was. The school inturn called my grandmother, the emergency contact listed on their paperwork. My grandmother came looking for me and eventually located me in my old hometown of Redondo Beach, California, staying with an only just recently discharged World War II ex-Marine taxi driver that had fought his way up through all the islands in all the major battles in the Pacific from Guadalcanal northward. "When I was a young boy in the fourth or fifth grade or so, two of my grade-school buddies and I used to pull a Radio Flyer through the alleys around the neighborhood collecting pop and beer bottles for the deposit. After we collected a wagon load we would turn them in various places around of which one was a bar. In the process of pounding on the back door I got to know the dishwasher there, an elderly (to me) Chinese man. "Mid-evening on the night of the-unknown-to-anybody at the time up-coming crash I had gone to bed in the bunk in my compartment and as far as I knew had fallen fast asleep. Sometime during that period, between the time I fell asleep and the crash occurred, I found myself neither asleep nor in my bunk but outside of the train standing barefoot on the desert floor in the middle of the night in my PJs some distance off from a set of railroad tracks, my hand being held by an elderly Native American man. "No sooner had I been standing there than in the distance to the east I could see the headlight of a locomotive heading in our same direction. Within seconds the train was parallel to where I was standing and then, almost as though in slow motion the train began coming off the tracks with the engine barely moving on it's side pushing huge mounds of dirt in front of itself with cars slowly going everywhere and the headlight low to the ground glowing through the dust and piles of dirt. The light completely dimmed, then went out leaving everything around me engulfed in an incredible silence and darkness. The passage of time that seemed to be only creeping or limping along, slowly, then more so quickly, returned to normal." 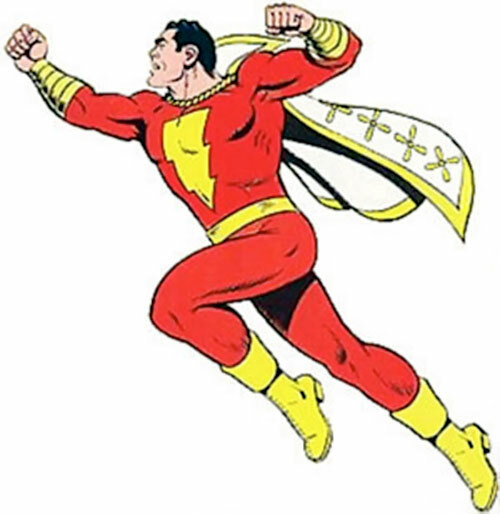 Not a cowboy western hero, but a comic book hero nonetheless, before he ever became Captain Marvel, as depicted in Captain Marvel: His Origins, Billy Batson was met by a phantom-like stranger and of his own accord traveled via a mysterious subway to a deep underground cavern ornately carved with the Seven Deadly Enemies of Man. All seven, Pride, Envy, Greed, Hatred, Selfishness, Laziness, and Injustice, are the antithesis to the Code of the West --- that is to say, combating or eliminating one, any, or all by promoting their opposite as a way of life would formulate the basis encompassing the precepts of the Code. 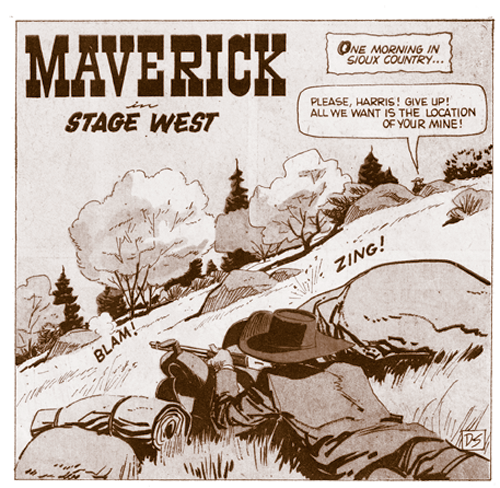 The Captain Marvel origin story showed up in Fawcett Publication's Whiz Comics Volume 1, Number 2 in February 1940 around the same time all of the cowboy western heroes were coming onto the scene. 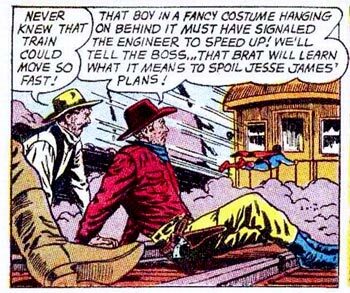 Notice in that era the writers and publishers had no problem coming up with a story line that depicted the young boy, Billy Batson, as it being OK to go off with a total stranger --- and a strangely garbed one at that. 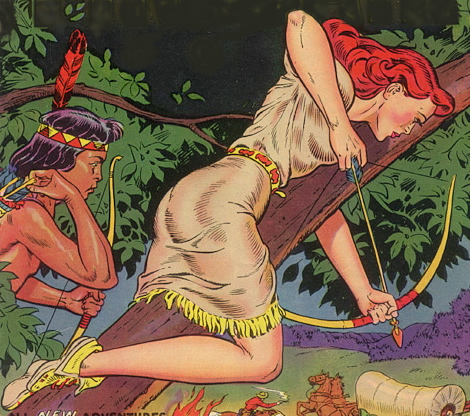 Equally amazing, at least as it would appear today, the writers and publishers had no problem presenting it to their young readers as if it was OK as well. The precepts of the Cowboy Code of the West permeated a much wider sphere it those days and was a given as to one's conduct. 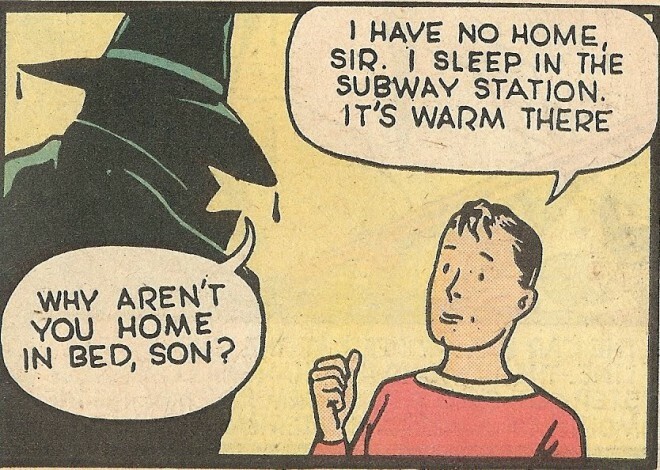 As a side note please notice how well mannered and polite the young Billy Batson conducts himself, respectively calling the stranger "Sir." Several years out of my life as a young boy I lived on a ranch in the Mojave Desert owned by my Stepmother, who at the time was quite wealthy. The school my brothers and I attended was far enough from the ranch that in order to get back and forth we rode the bus. However, regardless of the distance, sometimes after school we walked or got off the bus at some other kid's place, then walked home. 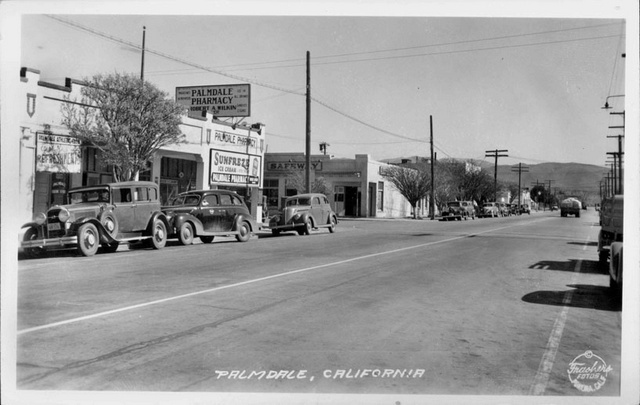 On one of the days we were walking back a bunch of us kids of various ages and grade levels stopped by the Palmdale Pharmacy, the only drug store in town. Some of us had money, some of us didn't. After we left the store one of the boys my age I knew for sure didn't have a penny on him was eating a Hostess cake --- a sort of sweet folded over sponge-like half circle cake filled with some kind of unnamable white cream. When I asked him where he got the money to buy it he told me he just took it by stuffing it in his shirt when nobody was looking and walked out without paying, a trick his older brother taught him. Not only had I never heard of such a thing I never thought of such a thing --- and if my older brother or cousin did such things they never shared it with me. The Texas Ranger involved in the L'amour incident was the infamous Rufus Van Zandt (1895-1981). Van Zandt had been sworn in as a Texas Ranger in 1921, being promoted to rank of Captain in July of 1922. Sometime after a woman by the name of Miriam 'Ma' Wallace became governor of Texas in 1925 Van Zandt resigned his position for reasons undisclosed, but most likely because of differences of opinion (it has been said Ferguson used the Rangers as a political tool for dispensing patronage. On February 20, 1925, she reduced the five companies of Rangers, limiting the remaining Ranger authority to the counties along the southern border. 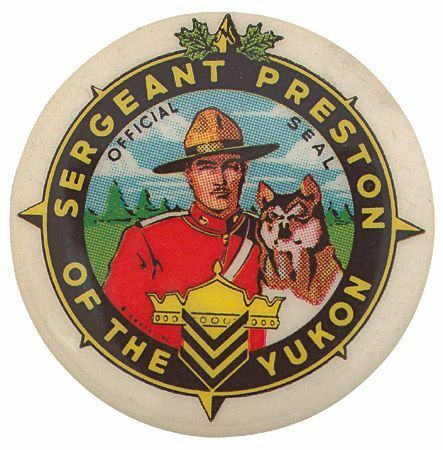 If Van Zandt, with the rank of Captain, was caught up in that reduction or resigned because of the reduction is not known). In 1926, within months of leaving the Rangers, Van Zandt became a Special Agent for the U.S. Treasury Department. 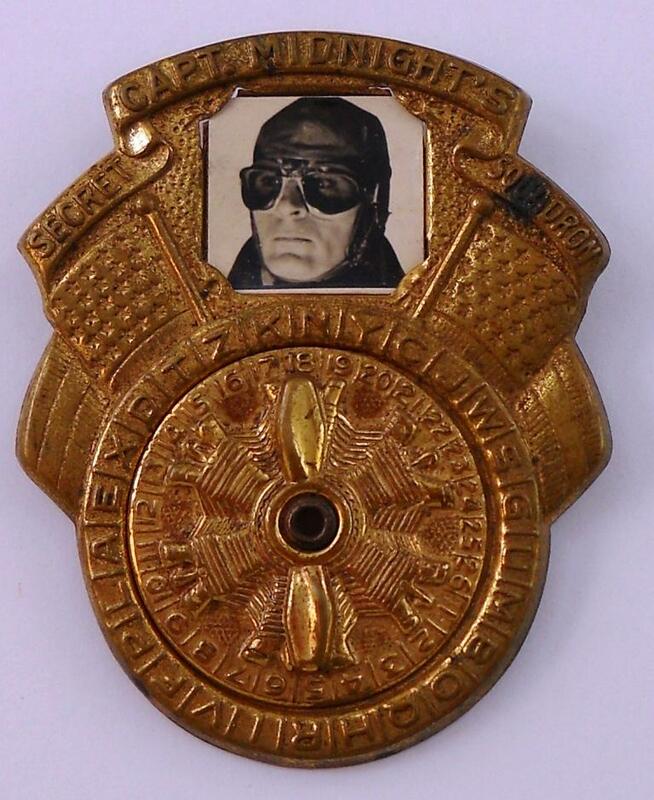 The Special Agent position carried the full credentials and powers of a federal law enforcement officer including the right to carry a badge, gun, and arrest authority --- duties of which were loosely bracketed around the area of border enforcement. Van Zandt did not resign his position as a federal agent until sometime in 1928, making him effectively in play as a law enforcement officer in Texas from 1921 to 1928. "Van Zandt spent a lot of time hunting bears and big cats in Mexico and became friends with the fierce Yaqui Indians, a tribe the Mexican government had tried its best to exterminate. "When the war began, the U.S. government asked Van Zandt to keep his eyes and ears open for Japanese or German activity south of the border. He did and found a considerable Japanese presence on the west coast of Mexico. "Eventually, according to Van Zandt, he participated in a raid by Yaqui Indians on a clandestine Japanese submarine refueling point on the Pacific side of Baja, Calif. He said a submarine and two trawlers were sunk and a fair number of Japanese were killed." In the Gene Autry version of the Cowboy Code of the West, number 5 reads: "A cowboy is free from racial and religious intolerances." With that in mind, a quick jump will take us from the comic strip above and all its images to what I call a rather interesting phenomenon, and that is, every one of the the Cowboy Codes found in the main text and so presented by all of the western notables, albeit different individually on a specific basis, have a universal theme or thread that runs through them. 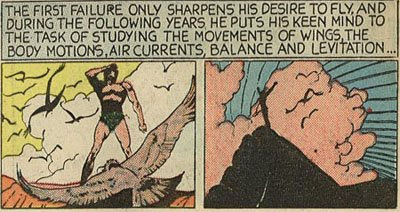 Even Billy Batson on his way to becoming Captain Marvel, as depicted above from his origins, was paraded through a cavern graphically carved with the Seven Deadly Enemies of Man. RIGHT UNDERSTANDING: Understanding the true nature of existence, and the moral laws governing the same. RIGHT THOUGHT: A pure state of mind, free from from ill-will and cruelty; in other words, thoughts of goodness and mercy. RIGHT SPEECH: Consists of words which are not false, not harsh, not scandalous, not frivolous, i.e. truthful words, mild words, pacifying words, and wise words. RIGHT ACTION: Abstaining from intentional killing or harming of any living creature, abstaining from dishonest taking of others' property. RIGHT LIVELIHOOD: Participating in such a livelihood that it does not bring harm and suffering to other beings. RIGHT EFFORT: The effort we make in overcoming and avoiding old and fresh bad actions by body, speech and mind; and the effort which we make in developing fresh actions of righteousness, inner peace and wisdom, cultivating them to perfection. RIGHT MINDFULLNESS: Alertness of mind. It is the ever-ready mental clarity in whatever we are doing, speaking, or thinking and keeping before our mind the realities of existence. RIGHT CONCENTRATION: Maintaining a mental concentration directed towards a morally wholesome object, always bound up with right thought, right effort and right mindfulness. 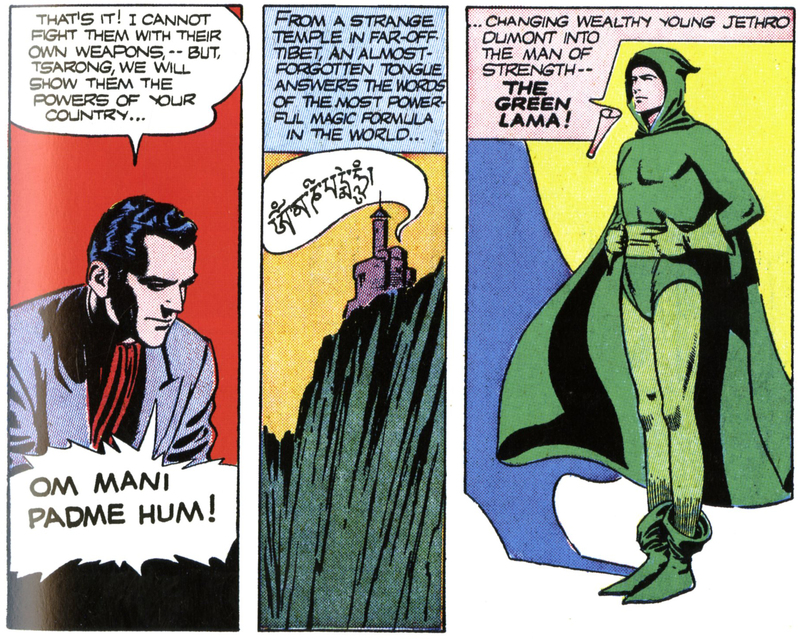 Several 1940s superheroes gained or enhanced their powers by traveling to the Far East, most specifically to Tibet and brushing up against the edges of Buddhism, Batman and the Shadow being the two most memorable. The Shadow worked his way up through the Siddhi-chart fairly high, being able to "cloud men's minds" and all. Batman to a lesser degree, mostly martial arts related with their accompanying attributes such as agility, endurance, discipline, etc. Neither of them as written refined the depth of their abilities to the point they could fly. Another person that gained powers after having been Tibet and the Himalayas was the person who was to become the Black Condor, albeit unlike the Shadow and the Batman who traveled there, he was raised there early on from an infant. According to the storyline, like Tarzan being found as a baby and being raised by Apes, the Black Condor, within hours of his parents being killed, was found and then raised through to young adulthood by a flock of mysterious giant birds that inhabited a remote section of the Himalayas in Tibet, developing in the process the ability to fly. Later, as a young man he was taken in and tutored by a hermit-like monk, learning spirituality and the ways of man and civilization. 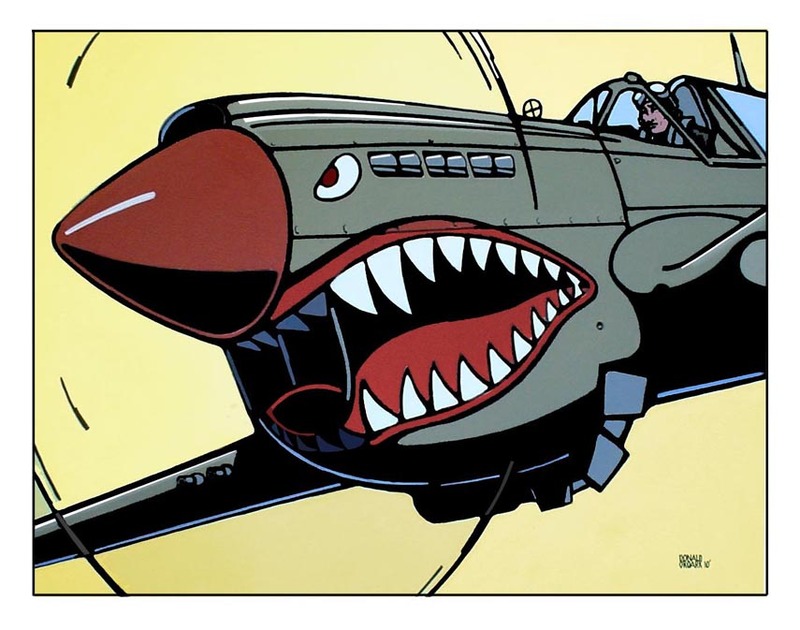 There was as well another 1940s superhero who DID refine his abilities to the point that he acquired not only the ability to fly, but also super strength and invulnerability --- even to having bullets bounce off him a la Superman and Captain Marvel. That superhero was the Green Lama. 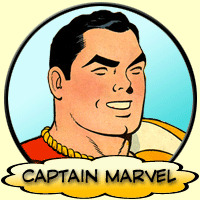 Captain Marvel had always been billed as the "World's Mightiest Mortal," however, as it was, the Green Lama was also a mortal, being one Jethro Dumont, a rich New York City resident and man about town, who, if necessity demanded it and he recited the Jewel Lotus Mantra "Om Mani Padme Hum", Dumont, not unlike Billy Batson saying Shazam and becoming Captain Marvel, underwent a startling and dramatic change after repeating the Mantra, becoming the Green Lama, gaining super strength, invulnerability, and the ability to fly. There is some controversy if Don Juan Matus was a real person or a composite of several different people, but one or several, most agree Castaneda's observations regarding shamanism remain valid. In his works Castaneda says that a sorcerer's power, that is, a Shaman's power, is "unimaginable" and to learn that power there are seven components must be followed or mastered. I am not sure how long I was there, but I am sure it was more like a few days or weeks, not months. From there I was eventually returned to the west coast to be with my grandmother on my mother's side. It was during the return trip to my grandmother's in California that another interesting aspect in my young life unfolded. Although I was unhurt, the person or people I was traveling with was among the injured and taken, with me along with them, to either Williams or Flagstaff. Because of the nature of their injuries, whoever I was traveling with was held-up under doctors care for several days, leaving me without direct adult supervision. My grandmother, who had been contacted by the railroad, called my uncle in Santa Fe. He inturn contacted a nearby tribal spiritual elder to oversee me until someone figured out how to get me to Los Angeles Union Station and thus then, my grandmother's home in California. 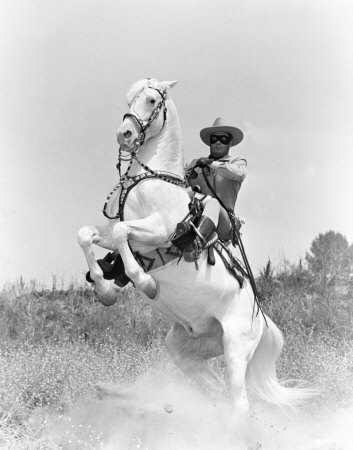 BASS REEVES: THE REAL LONE RANGER? JOHN R. HUGHES: LONE STAR RANGER OR THE LONE RANGER? One of the most famous Texas Rangers of all time was John Reynolds Hughes. 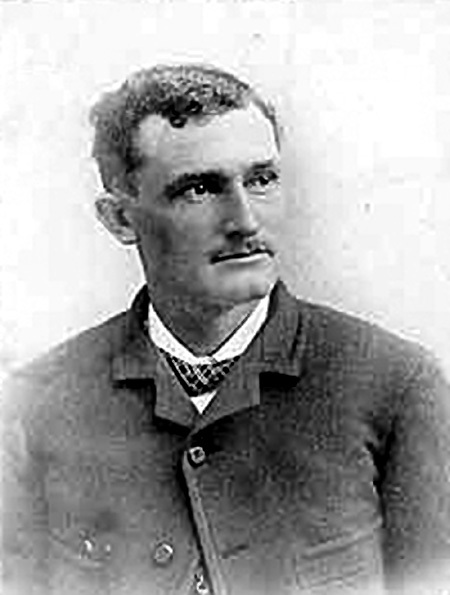 Hughes was born in Illinois, left for Texas and began ranching. There were problems with cattle rustlers and John used his natural abilities to track them down. Future Texas Ranger Hall of Famer Ira Aten was so impressed with Hughes that he offered him a position with the Texas Rangers. By enlisting in the Frontier Battalion, Hughes realized that he could track down fugitives and get paid for it at the same time. It didn't take long to make the decision. On August 10, 1887, Hughes signed on, mustered in by Adjutant General W. H. King at Georgetown, Williamson County. Now in the Frontier Battalion, John R. Hughes would hunt down murderers, smugglers, and sheep, cattle and horse thieves along the Rio Grande, recovering thousands of dollars of property. He would also have to kill in the line of duty on more than one occasion. It was dangerous work. The above information on John R. Hughes adapted from The Story Behind The Photo by James Van Richards grandson of former Texas Ranger Alonzo Van Oden.